In this article I will show you the best knife sharpener reviews on products, which I used and tested myself. I also would like to explain why it is important to have one and will help you to find what is the best knife sharpener for your needs. A dull knife can be dangerous for the users. It’s because you must use stronger force to cut and it often results to injury. Thus, knife sharpeners are important to preserve the quality and sharpness of the blades. The blade edge will be duller over time without sharpening. Many people don’t think about the importance of knife sharpening tools. In the end, they face troubles when cutting food, meats, and other things. Having knife sharpeners is a must, especially for butchers and hunters. Households also needs these products as all kitchen knives require maintenance. Regular using or dishwashers will cause the blades dull over time. Thus, it becomes more important to use a knife sharpener either the stone, steel or electric one. Dull knives needs brute force to cut while sharp knives will be more efficient and much easier to cut. Less force doesn’t cause any damage to the meat or food. Mild ingredients like herbs can be cut cleaner and better. Sharp knives are predictable. The knife won’t slip or miscalculate when cutting the food or meat. Sharp blades will be easy to control either for slicing or chopping. However, there’s higher risk in cutting yourself if you don’t follow the safety rules. You can to control the blade edge by sharpening and determine, how sharp your knives will be. The other name of these products is whetstones. They are popular among butchers and hunters. The stones usually comes in rectangular shape. This type of sharpener is perfect for very dull butcher knives as they can eliminate lots of material from the edge. The best advantage of this type of sharpener is that you can control the sharpness and the edge of the blade. This type of sharpener has a specific job. It’s to maintain the knife. It isn’t suitable to sharpen dull knives. Sharpening steels are made of either ceramic or steel. They also have narrow rods with a long feature. The design is quite compact as it will minimize the contact. This is the latest product that you can find in the market. Electric sharpeners usually come in a rectangular box shape. The greatest benefit of this type is both the speed and convenience. If you would like to find more information about the types of knife sharpeners and their functions or simply learn, how to sharpen your knife please check my other article about, how to sharpen butcher knives. There is many types of knife sharpeners that people can buy in the marketplace. You need to get one, based on the type you need or want to use. Basically, there are main 3 types of knife sharpeners that you can buy. The first one is the sharpening stone. It’s the most popular one due to its effectiveness. It’s also compact and versatile. The second type is the sharpening steel. This one is perfect if you want to preserve the quality of your knife and make it sharper instantly, however you won’t actually sharpen the knife. Another type that you can get in the marketplace is electric sharpener. This one offers more convenience for the users. You can sharpen your knife much easier and – as the name indicating – it is supported by electricity so the machine will do most of the hard work for you. I usually use the sharpening stone and the sharpening steel and I mainly focus on these products, however when I bought my first electric sharpener, I started to like to use it from time to time. I think that any butcher or hunter should have at least the stone and steel and preferably the electric sharpener as well. Each product offers different quality so you have to be careful here. Each knife sharpener is able to handle regular blades, but only some can sharpen scalloped-edge blades. You need to be specific about what you need. Otherwise, the results will not be maximal. Also, not all products are able to sharpen blades with a narrow edge. Thus, you need to buy a particular sharpener that’s specifically designed to handle this type of blade edge. In my reviews below I will show you the best picks – in my opinion – so hopefully this will save your time and money. Knife sharpeners are made from different materials. For example sharpening stone is a manual product that comes in a solid block. Users should lubricate this product before using. It is old fashioned just like steel sharpeners for professional butcher knives. The other material that is used is ceramic. Ceramic sharpeners are modern products. 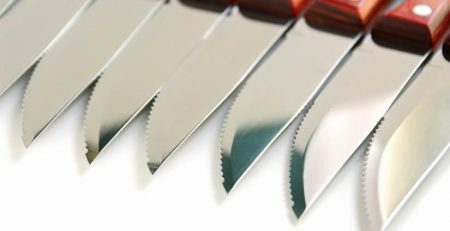 They come as an alternative choice for sharpening different types of knives. This material is less porous so it provides a smoother result of sharpening. In the terms of price, you will able to get a knife sharpener in various price ranges. It depends both, on the quality and type. Brands also affects the price and in most cases it’s better to spend a little bit more and have a higher quality product. This one belongs to National Presto Industries, Inc. It offers modern design that may suit nearly everyone. It comes in a silver and black colors, which represents modern kitchen tools and professional knives. This item includes a two-level system to ensure the quality and results. Usually, the overall operation takes no more than 2 minutes. For what kind of knives? Presto 0800 sharpener is very usable. People use it as a sharpener for all kind of knives. Due to its versatility, this product becomes one of the most popular products in the market. However, you can’t use it outdoor as it requires electricity to operate. How to clean and care about this particular sharpener? This electric sharpener doesn’t require much cleaning. It’s vulnerable to water so you only need to apply damp cloth on the exterior part of the product. You can clean it any time there’s accumulated dirt on the surface. Damp cloth is sufficient for wiping off the dirt. As a precaution, don’t ever use abrasives or detergents when cleaning electric sharpeners. You will get the 1-year warranty after the delivery. If you will use the product properly it will last for long years. The price vs quality of Presto 08000 is beyond the expectation. It offers good quality in a very good price. This is the best electric knife sharpener looking at quality vs price. The Presto EverSharp is one best knife sharpener on the market in that price range. It has one of the biggest advantage – it is working exactly as is stated. I’m the ‘old school’ butcher and I wasn’t convinced when I first time heard about ‘these new’ electric sharpeners. However, a while ago I decided to try one, which was recommended to me by my friend who is also a butcher and I have to admit that I really enjoyed it. I still use mostly the stone and steel, but it is just so easy and effective using this electric sharpener. 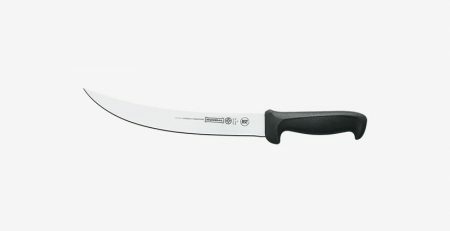 I know that there is a lot of products like this on the market that are good only for kitchen knives or are not good at all and the knives aren’t too sharp after using it. This product is much better. You can sharp on it many different kind of knives and once you follow the instructions it’s so easy to restore the knife to its best sharpness. There are 3 suction cups on the below part of the product. They are useful to stabilize the sharpening process. If you are thinking to get one, get this one and you will never regret it. This product is falling into the professional knife sharpener category. Work Sharp Knife and Tool Sharpener can be your great choice if you want to get instant sharpening without so much effort. It is also suitable for any knives and comes with premium abrasive belts; coarse, medium, and fine. It has a precision sharpening guide, which gives easiness and quickness in sharpening any knives you have. By using this modern sharpener you are no longer get tired of sharpening your blades because the machine will do it for you. Generally, this Work Sharp WSKTS Knife and Tool Sharpener can be used to sharpen any kind of knives you have including knife, scissor, woodworking tool, and any tool that is made of iron. You only need to put the blade or the tool on the belts and then let the belt spin and sharpen your tool. However, you have to be careful because it may produce sparks, so you have to stay away from inflammable materials. This sharpener does not need any significant cleaning. In this case, you just need to remove the belt when the belt is dirty and then you can clean it up. The iron flakes will not stay in the sharpener so you can clean the belt easily. If there are flakes on the machine and the belt, then you just need to use a small cloth to clean it up or you can blow it up to remove them. With this product you will get 1-year warranty. However, this product is known to be so durable so most of the buyers never worry about the warranty. As long as you use it correctly, you will be able to use it for long years. It uses electricity, so you have to be careful and do not let your kids play with this sharpener to prevent any harm. Even though this product belongs to professional and modern sharpeners, the price offered is relatively affordable. Moreover, the quality of this product is really promising. Similar products may be available at cheaper prices but the quality will not be that good. I have a few similar machines in my collection. Most of them are bigger and older and are still good, but this one is great, because is small, very easy to use by anyone and really effective. When I first bought it, I didn’t know what I can expect and I wasn’t aware that it will become one of my best electric knife sharpener of that kind. It’s a unique product as it includes the combination of high-quality grit with a good design. You just need to use water and no oil is required which is a huge advantage (you can still use oil if you want). The product is manufactured in Japan and it’s suitable for most types of knives including cleavers. Many professional butchers and chefs use this sharpener as it provides an excellent sharpening quality. It has two stone classes including finishing and abrasive. The 1st level of sharpening will use the higher grit. The lower grit will be useful for a bevel reshaping or nicked edges repairing. 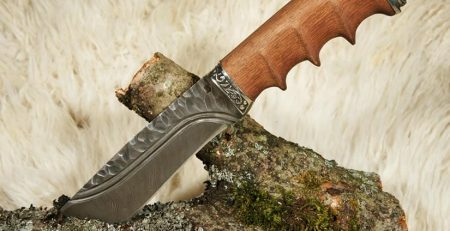 In the terms of functionality, King KI001 will suit to different blades with various textures including axes and knives. The high-quality grit will make the job more effective. The compound of its leather strop is quite good. It can sharpen and tune knives well with lesser efforts. After just a minutes of sharpening, dull knives comes as sharp as new. King I001 is easy to clean and all you need to do is to use water and soap. It takes no more than 2 minutes. You can also use oxalic acid solution. A small portion of such powder will remove particles away from the stones. This powder is also useful to clean ceramic sharpeners. However, it won’t work well with oil. King I001 comes with a lifetime warranty. This is one of the aspects that this product is worth the money. The unit is quite sturdy as well. Due to its durability, you don’t even need to worry about, how long you can use it. As long as you use this product properly, you don’t need to buy new stone for years. The overall quality of the product is beyond the expectations. The price of King I001 is more than affordable. The other products will cost more and will have similar quality. Some butchers say that King I001 is more reliable than the competitors. I tried it and I can vouch for that. I had so many sharpening stones in my live and this is the one I use the most and it’s one of the best in my collection. I love the combination of 250/1000. I usually start with 250 and then polishing the knife using the other ‘1000’ side. I’m not spending more than 5-10 minutes sharpening one knife which sometimes is very important especially when I’m very busy and this is a quite often;) After sharpening, the knives are sharp as razor and you can trim you hairs on the hand. It really sharpen better than any other tools and I used this stone to sharpen all kind of knives, cleavers and even an axe! There is no point to say more about it as I’m sure that you will give this stone great rating once you get it. This is a cool and professional knife sharpener with a modern design. It is really suitable for larger knives or for any woodworking tools. The materials used are diamond and natural Arkansas stone. This diamond Tri-Hone Bench Stone is the highest quality sharpening tool and it also has two interrupted surface with an oval design and a cool overlapping. The process of sharpening will be accelerating due to the metal filings that are collected on the abrasive surface when you do the sharpening. It is also equipped with Micro-Tool Sharpening Pad that can be used for small knife sharpening or small cutting tools and edges. Using Smith’s 8 Diamond Tri-Hone, you can sharpen any kind of knives that you have at home. Besides, this is not only used for kitchen knife sharpening, but you can use it to sharpen any woodworking tools such as blades, spikes, axe, and much more. No matter, how big your knife is, you are still able to sharpen it using this cool product. It is not a big deal at all when you want to clean this sharpener up after using it. You can use a damp cloth to clean the surface or you can also use a compressor to blow up the metal filings and the dust of the surface. For the warranty, you need to register your product online. The manufacturer will repair if it’s possible to repair or replace with the new one without any charge. This product warranty is valid for 3 years from the date of purchase. The Price of Smith’s 50008 8-Inch Diamond Tri-Hone Bench Stone is quite affordable and it offers a good quality product. You may choose other products at a more expensive price, but the quality can be the same. However, the price depends on where you buy this product. If you want to buy this product at the cheap price, then you are recommended to buy it online. If you are butcher or hunter and you have some experience with sharpening stones, this sharpener will be perfect for you. In other words, if you know, how to use all the potential offered by this stone, then you don’t need to look any further. I use this product for over 3 years and it’s more than worth the money I paid for it. I don’t think that I will need to buy another one as this stone will last for long, long years. Another choice is Henckels Poly. It seems classical, but it offers a great functionality. The main function of this sharpening tool is to straighten bent edge that makes the knife blade dull.Henckels Poly will maintain the quality, even with daily use. It’s both lightweight and versatile. You can use it comfortably for different types of knives. Henckels Poly can suit many types of blades. As long as you follow the proper instruction, there will be no problems at all. Most users will take advantage of this quality sharpener to make their kitchen knives as sharp as new. Henckels Poly is quite easy to care. In the terms of cleaning, you can use a damp cloth on the exterior part of the product. Detergents are prohibited to use when cleaning this sharpener as they will affect badly on the surface of the item. When scrubbing it with a damp cloth, you shouldn’t scrub it too hard. The cleaning process is easy and it doesn’t take more than 1-2 minutes. Henckels Poly comes with lifetime guarantee. It’s the authentic product made in Germany. It offers high-quality material at a low price. Both durability and functionality are the two best benefits of this product. In the terms of durability, you will be able to use this sharpener for years if you use it in a proper manner. The steel is good and the handle has a very good grip. Moreover, both the balance and heft are nice. This is something imperative for every professional butcher and not only. In the terms of price vs quality, Henckels Poly is really worth the price. The length of this product is suitable for most users. I prepared for you comparison table with the best knife sharpener reviews I introduced in this article. You can compare the sharpeners using different factors such as price, rating etc. It is a quicker way to find what is the best knife sharpener for your needs. By clicking on any of the link you will be taken to the actual review of the product and from there you can click the button to buy the knife sharpener. Extremely thorough reviews. Here I was thinking I was up to speed with knife sharpening and all I’ve known was the sharpening steel. Nicely done. I’ll never waste my time trying to sharpen a dull knife with a sharpening steel again. Yes, that’s why I wrote this review. I want to show, how to properly sharpen knives and make people aware of all the different aspects of this process. I’m very pleased that I could help. We got some good Wusthof knives as a wedding gift, and it’s been about a year of using them without sharpening. I’ve been wondering about the best solution to this problem. Thanks for the detailed information on all the different kinds of sharpeners available, I have a better idea of what will meet our needs now! If you are not familiar with knife sharpening the electric knife sharpener will be the best option for you. If you ever need any help with the knife sharpeners ,you can always let me know and I’ll do my best to help. And here was thinking that the sharpening steel and the back of a ceramic soup bowl was the way to go with sharpening knives lol. I love to cook and having a sharp blade to cut is sooooo much better than struggling with a dull one lol. I might have to check out the electric knife sharpener especially after the review on it. If you are not experienced with knife sharpening, electric knife sharpener will be perfect for your needs. You will get one with a full instruction and after 1 or 2 sharpening you will be able to do it on your own. Maybe in the future you will use some more advanced techniques such as stone sharpening. Wow! I had no idea that there were so many things to consider when buying a knife sharpener! To be honest, I had no idea that it was even so important to sharpen your knives regularly. Thank you so much for this thorough information. 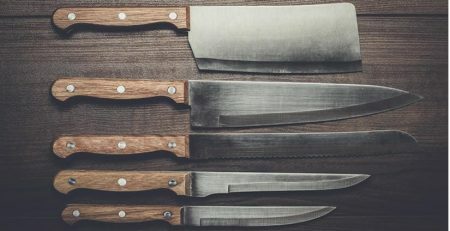 I myself have had many slip-ups in the kitchen with knives, and now I am thinking that that has a lot to do with the fact that I have never sharpened my knives before. 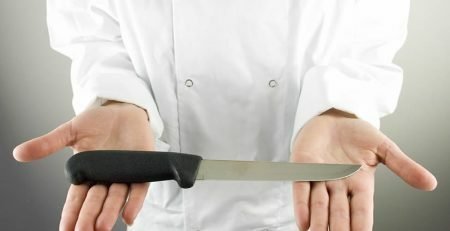 Cutting with sharp knife is actually more safe than cutting with dull knife. I hope that you will be able to avoid the slip-ups now! thank you for sharing an article about knife sharpeners. I have a lot of knives at home and I would definitely need knife sharpener because my knives are not as sharp as they were when I bought them. Your in-depth article was definitely helpful because you explain in detail what I should be looking for when I’m buying knife sharpener. You can bring your knife to a professional knife sharpener, but you can also sharpen your knives at home without paying every time for the service. Anyway, before you decide to buy any, it’s extremely important to know what type do you want and need to get so I’m more than happy that I could help you. I’m a vegan, but I have discovered that I still need a sharp knife for all of that veggie chopping! I have a steel, but now I know why that is not as effective to get a good sharp blade to start with. I also wondered about having to use water or oil with a stone. You answered that nicely. Based on your reviews, I think I will go with a sharpening kit and continue to use my steel for maintenance. Very comprehensive reviews! Thank you for your kind words and I’m glad that I could help.